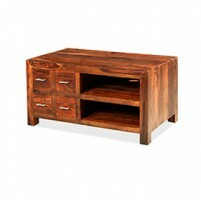 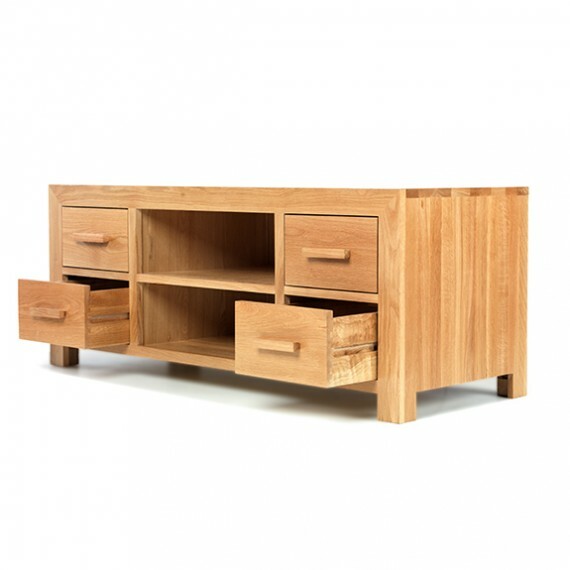 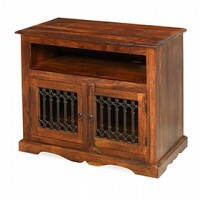 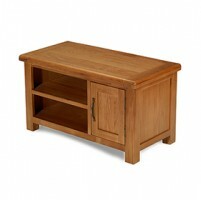 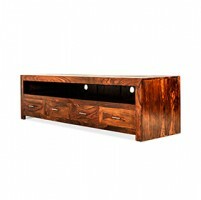 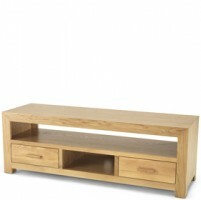 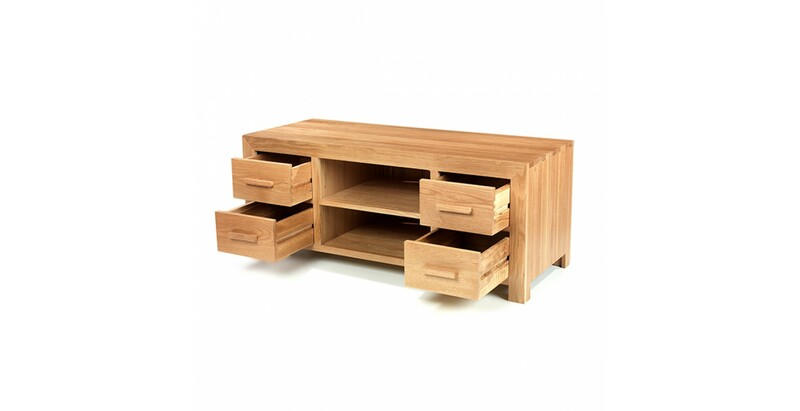 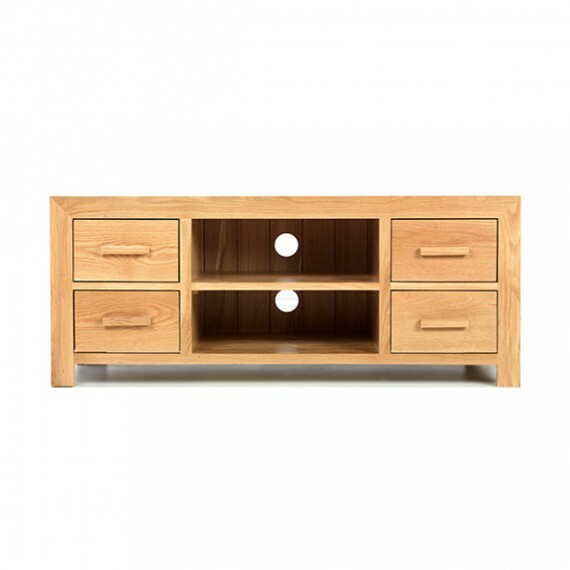 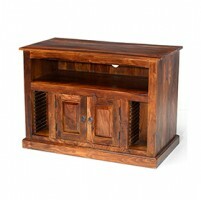 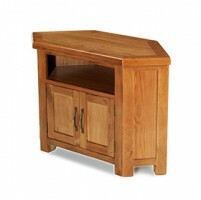 No matter how wide your TV is, this sturdy contemporary stand will be able to accommodate it. 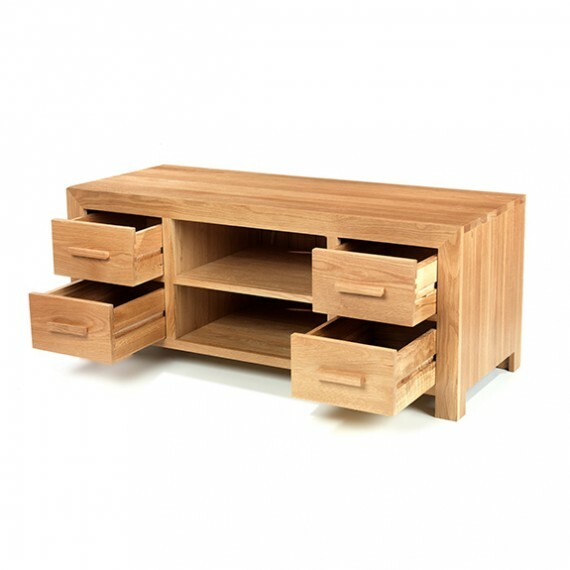 And look rather smart doing it. 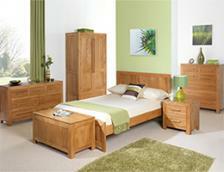 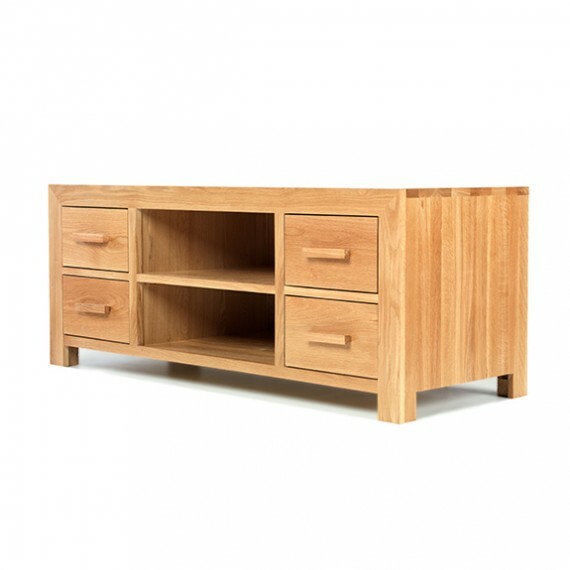 Crafted from solid oak in a minimal yet elegant design, its unfussy simplicity makes it suitable for a wide range of decorating schemes. 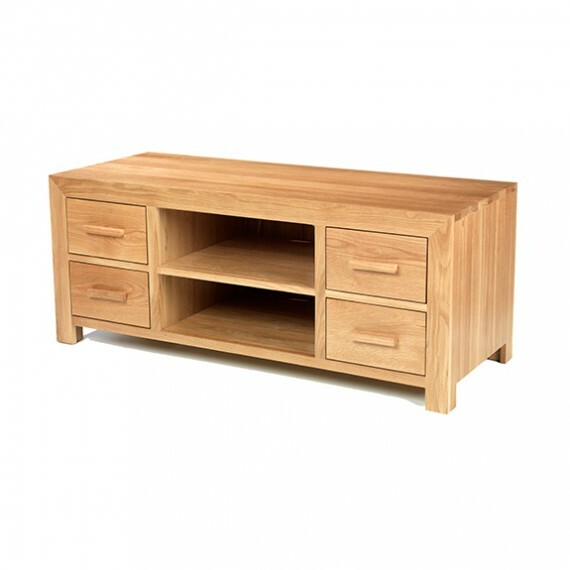 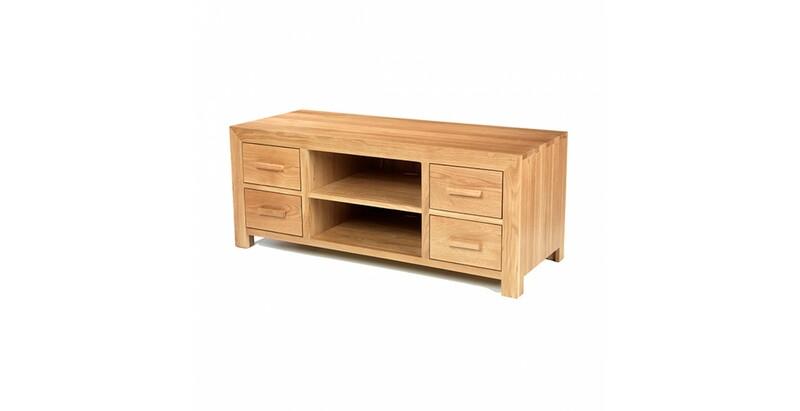 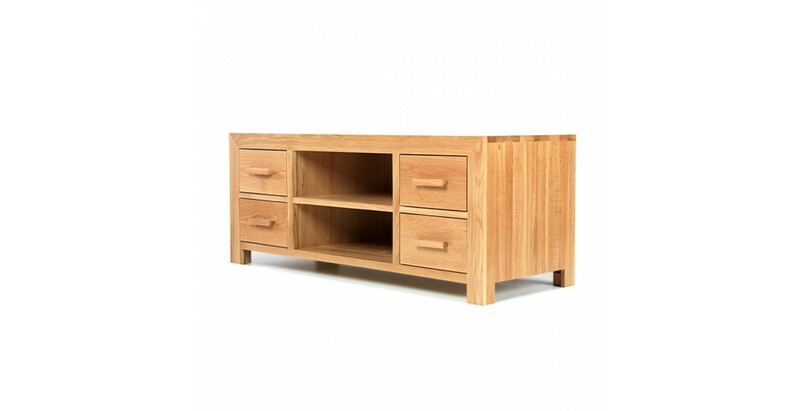 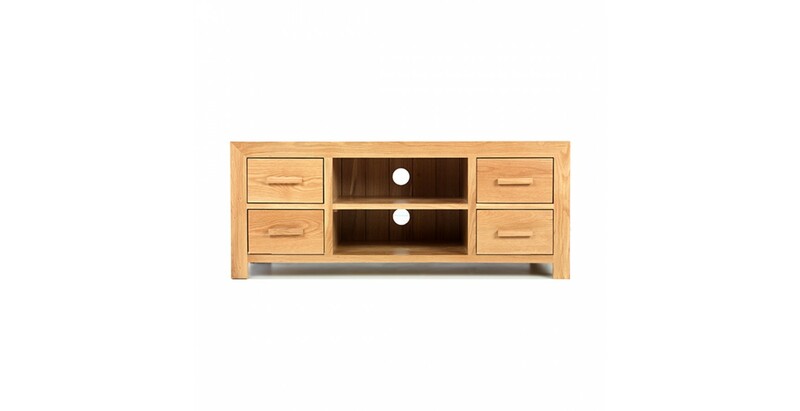 At each end you'll find a pair of roomy drawers to store all your media accessories, and in the middle there are two open sections for your DVD player, digital receiver or games console. 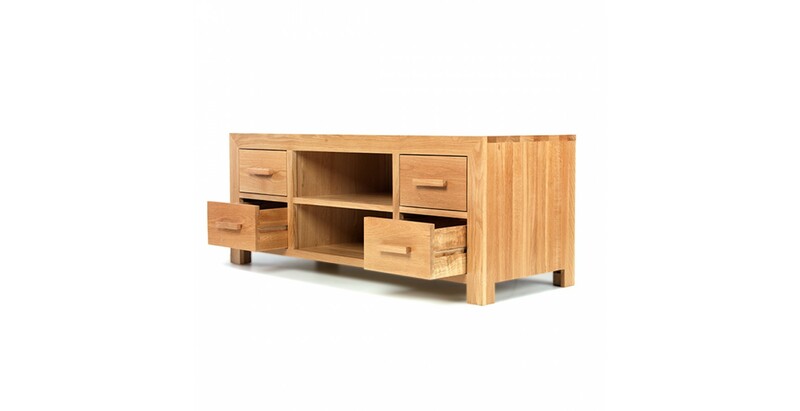 Everything is kept looking its honey-toned best with the addition of a subtle matt lacquer that also shows off the grain to a tee.